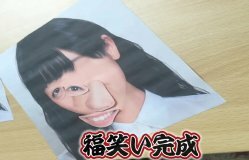 This was the 14th video by Maeshima Ami for her youtube channel. This video was around 8 minutes. Since this was the first video of 2019, Ami played the traditional Japanese New Year's game "fukuwarai" (福笑い). 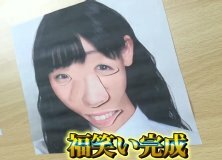 Instead of a standard picture of a generic face and face parts, Ami used a photo of herself. 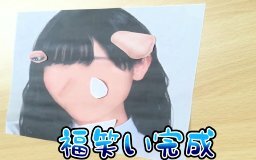 She cut out the eyes, nose, and mouse. 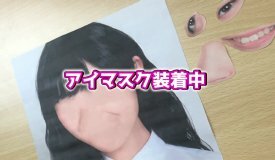 Then she prepared a "blank" photo of her face, and started playing the game. Ami played the game 3 times.